Lineage OS 14.1 for Mi NOTE (virgo) has come via an unofficial build. If you want the OFFICIAL update or some more Lineage ROMs then stay tuned to the LineageOS 14.1 page or the latest Lineage OS 15 Android O devices list page. This Mi NOTE LineageOS 14.1 (virgo) is brought to you by GuaiYiHu. No donation link found for GuaiYiHu. THIS IS AN INITIAL BUILD WHICH MAY NOT BOOT AT ALL OR EVEN IF IT BOOTS IT MAY HAVE MANY BUGS. HAVE A BACKUP OF THE CURRENT ROM BEFORE FLASHING THIS ROM AND TRY AT YOUR OWN RISK. Installing a custom ROM on a Mi NOTE (virgo) requires the bootloader to be unlocked on the Mi NOTE (virgo) phone, which may VOID your warranty and may delete all your data. Before proceeding further you may consider backup all data on the phone. You are the only person doing changes to your phone and I cannot be held responsible for the mistakes done by you. Download and Copy the GApps and Lineage OS 14.1 for Mi NOTE ROM ZIP to your phone. First flash the Mi NOTE Lineage OS 14.1 ROM ZIP from device. DO NOT REBOOT YET. Now flash the LineageOS 14.1 GApps package. Reboot and Enjoy the Nougat 7.1 Lineage OS 14.1 ROM for Mi NOTE (virgo). 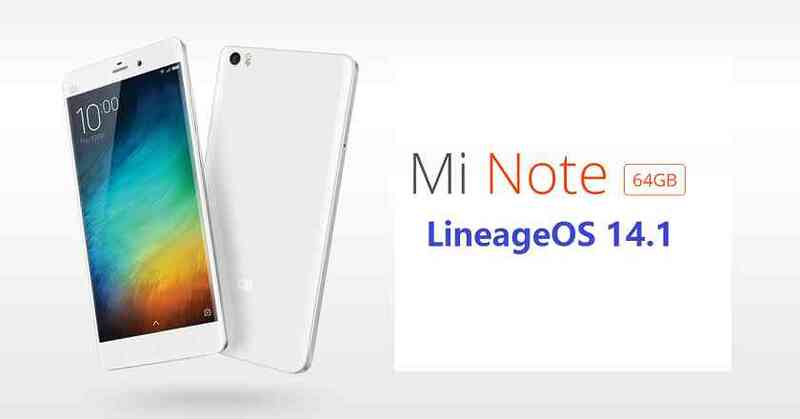 Copy the latest Lineage OS 14.1 for Mi NOTE ROM ZIP file to your phone. Stay tuned or Subscribe to the Mi NOTE (virgo) LineageOS forum For other Android Nougat ROMs, Lineage OS 14.1 ROMs, other ROMs and all other device specific topics. Sadly, this version (lineage-14.1-20170713-UNOFFICIAL-virgo.zip) doesn’t work. It switches off the phone after few seconds with Lineage logo. Any other source or the only way to get a (semi-)proper ROM is for now Mokee? This seems to be the only build available. If Mokee is more stable than this then it’s better to go for that. The one from May, as stated, is working good. I’ve found on Chinese pan.baidu servers a guy, who is cooking many roms, including Lineage. BUT they are not pure, they have some bloatware. Took me a while to download and test the latest he shared – lineage-14.1-20170815-UNOFFICIAL-virgo but it was not stable. The Mokee thing is rock-solid. I just don’t like that it is using in the background push service from Chinese server. Naturally – blocked it. Plus Mokee has XPosed built-in! I wish someone would show me a good guide to set-up cooking station for Lineage OS then I would be willing to take care of it (I’ve at home server with 2xXeon E5540 and 48GB RAM that does nothing at the moment). I would suggest you to build the LineageOS of your own as you have such a huge machine at home. I will probably help you when I will setup my own system for LineageOS builds. Also I will write a post on how to build LineageOS as soon as possible which might also be helpful for you and other many enthusiasts who are waiting to start their own builds. I’ve already set-up the LineageOS dev environment. Now I do have to learn how to adjust it for Virgo. For that I would appreciate some guidelines or links. An initial build of LineageOS 15 for Mi NOTE (virgo) is available to download. You can try the build. Make sure to have a backup of the current ROM as I don’t know the status of the ROM.